It gives us great pleasure in welcoming you to your home away from home. Charming accommodation, comforts and attention to detail are surpassed only by the personal service from your host Raymond and his team. Let us exceed your expectations. 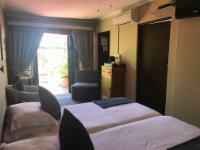 Each of our eight individually decorated en-suite bedrooms includes satellite Television DStv, Internet/Wi-Fi, telephone, air-conditioning or fans/heaters as well as coffee and tea making facilities. 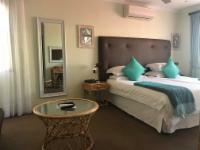 Wake up to a sumptuous full breakfast enjoyed either in our fine dining area or on the sun-drenched patio and pool area. In the hot summer days, sip away ice-cold champagne in the tranquil garden before your next excursion or just simply relax around our sparkling pool. 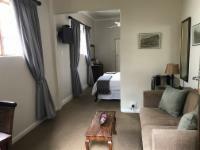 After exploring the friendliness of the Mother City, relax and enjoy an evening around our cozy fireplace with that special one, should you rather prefer peace and quite, stay in, read a book and enjoy a complimentary sherry. 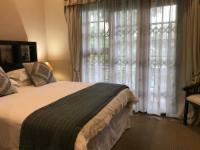 Olaf's Guest House is situated in Sea Point, five minutes drive from the city centre. Fabulous shopping centers, breathtaking beaches, the exiting Waterfront, the Promenade and major bus routes are within walking distance. Car rental and shuttles to and from the airport can also be arranged. 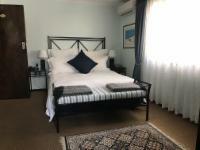 Olaf's Guest House is within reach of most of Cape Town's major points of interest and Sea Point's popular Promenade. •	Personal Obligation: Guest agrees that her/his liability for the stay at Olaf's is not waived and agree to be held personally liable in the event that the indicated person, company or association fails to pay for any part or full amount of the charges. •	Departure: "Check out" time is 11:00am at the latest. If Guest wishes to stay up to 6:00pm and the room is available, an additional day room charge will apply. Full rate applies after 6:00pm. 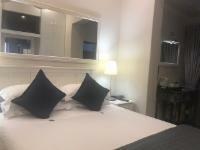 Upon departure, rooms and included fixtures are required to be in good working condition. •	Right of Management: Olaf's reserves the right of admission to any person to the premises. Guest's visitors (non guest house residents) are not allowed in guestrooms. Guests may meet their visitors in Olaf's public areas. Olaf's has the right to amend the rules and regulations without prior notice. 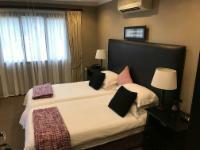 •	Visitor for guest's residing at Olaf's Guesthouse are only allowed from 9.00am to 22.00 in the public areas, visitors are not to stay or use the guest rooms. 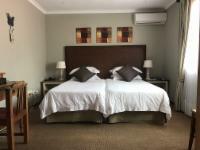 •	Extra Guest(s): If a Guest wishes to bring an extra guest or guest, he/she should register the guest(s) at the Reception and make full payment of room accommodation for the guest(s) before moving to the room(s). •	Liability: Guests make use of the facilities of Olaf's entirely at their own risk. It is agreed that all signs, notices and warnings will be adhere to. I also acknowledge that the code of conduct or house rules will become an integral part of my behaviour and form part of this contract. The management of Olaf's, employees or representatives are not liable and responsible for any injuries nor losses to guests, and/or their visitors regardless of the circumstances surrounding the loss of injury, accident to any person or loss of or damage to property brought by me/us upon Olaf's premises regardless whether such injury, loss or damage results from the negligence of the company or from any other cause whatsoever on the premises. Guests are advised to look after their valuables. •	Guest undertakes to procure that every person accompanying me/us will accept the aforesaid conditions of residence/presence and will agree to be bound by them. •	Vehicles: no responsibility will be taken for any loss to property or damage to vehicles or injury to persons due to fire, theft or any other cause whatsoever while outside our premises. •	Guest indemnifies (where more than one person, jointly and severally) Olaf's against any claim by any person accompanying me, including especially any minor or disabled person in connection with his/her occupation of/presence on the premises, including specifically without being limited thereto, any claims arising from injury, loss or damage, as aforementioned and from any cause whatsoever. •	General Liability: In lieu of any condition or liability complied by Law, Olaf's liability in respect of any defect or failure in service supplied or damage attributable thereto is limited to making good replacement or refund (at Olaf's discretion) of only the service provided by Olaf's Guest House. •	Shortages: Olaf's is not liable in any manner whatsoever for any water and electricity shortages. •	Default: The ACCOUNT remains the responsibility of the guest until full payment is received, notwithstanding the fact that the guest may have incurred the charges on his account in the course and scope of his employment or service to any company, business or person, and as such company, business or person is thus liable for the payment of the account. In case of default in payment of dues, Olaf's shall have a lien over the luggage and belongings of the defaulter and shall detain the same and proceed to sell or auction such property at any time without reference to the defaulter and appropriate the net sale proceeds towards amount owned by the defaulter. •	Child Policy: Children 12+ Parents take full responsibility for the actions of their minors and agree to the risk profile. 2. I/We, the guest, my principals and accompanying party and visitors, agree to conform to civilized and non-disturbing behavior so as to provide other guests their rest and peace. •	Drink responsibly, to stay sober and to acknowledge the right of other guests to peace and harmony. •	Acknowledge that the usage of alcoholic beverages can influence my/our behavior in such a way that it infringes on my safety and the safety of other guests, visitors and property. •	Waive and irrevocably abandon all rights to claim for any injury, death, loss or damage of whatever claim against the owner, the proprietor, employees default, their negligence or otherwise, for any injury, death, loss of goods or property which happens while being under the influence of alcohol. •	Agree to pay in full for any damages caused while under the influence of alcohol. 4. I agree not to remove any product, goods or service items provided for my/our luxury and perfect stay from the room. These include, but are not limited to, the cushions, bedding, towels, baskets, soap dispensers, information file, etc. •	Damage to Property: Guests will be held responsible for any loss or damage to property of the Olaf's caused by themselves, their friends or any of their visitors. •	Amendment of Rules: Olaf's management reserves to itself the right to add to, alter or amend any of the above terms conditions and rules. Raymond was very friendly, so was the staff pleasant. Would recommend to anyone who wants to visit Cape Town. 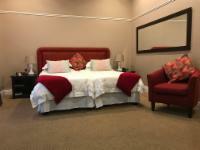 Olaf's Guesthouse is 3.4km from the centre of Cape Town , the nearest airport 23.8km (Cape Town International Airport).